Having entered the music world at only 12 years of age as a bass guitar player,Heartik gained through knowledge of many genres of music(starting with 70's rock and disco). 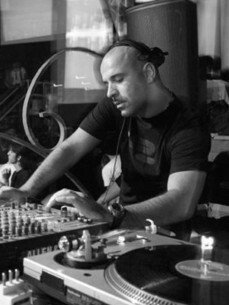 After discovering electronic music in late 2005 he delved deeply into the clubbing scene and began to further his passion for the genre as the nightlife became an instilled part of his lifestyle. From the end of 2008 he practiced the craft of music production refining his skills that ultimately led to signings on the first labels under an old moniker.. In 2010 this main alias was born with a good success,thanks to his lucky releases on Great Stuff Recordings,especially "Boog Me" was part of the biggest highlights,played from Carl Cox several times and many other main djs. 2011 came and Heartik signed on labels like Bitten,Kling Klong and VIVa MUSiC. His best result of the year was his remix for Pleasurekraft's Carny..also his first Kling Klong ep was a great success,plus many other excellent results like "11 Hours" and "Upper Cutter"
2012 is a busy year with upcoming remixes for Uto Karem,one on Kling Klong,two more ones from the albums of Affkt and Format:B. To mention also a remix and 2 releases on Sebastien Leger's Mistakes Music. His tribute song to Inner City "Meltdown" was mixed & released on Defected by the all-mighty Kevin Saunderson. 2013 has been an outstanding year with groundbreaking chart results..two eps on 100% Pure(one made with Sebastien Leger),a featuring with Umek as well and plenty of Mistakes Music,1605 and so on..